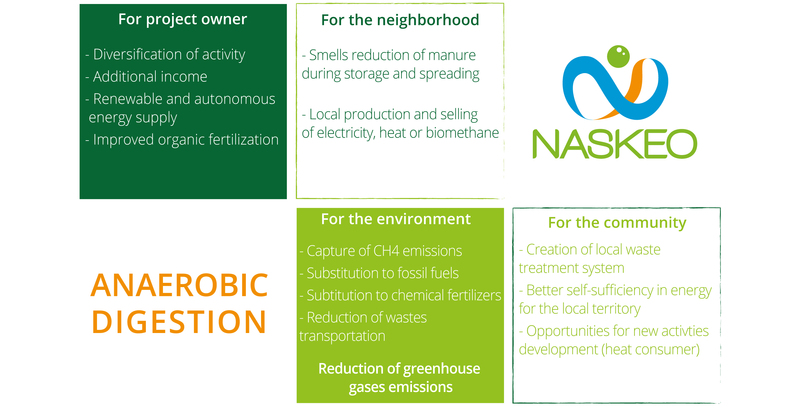 Anaerobic digestion is a natural transformation of organic matter that produces biogas and digestates. It occurs in an oxygen-free environment at 38°C. Biogas is valorized in electricity, heat, biomethane or biofuel. Digestates are efficiently spread on agricultural fields and allow a specific nutrients separation. Anaerobic digestion is a natural process of organic matter recycling in an oxygen-free environment. Numerous micro-organisms convert organic matter into biogas and digestates. 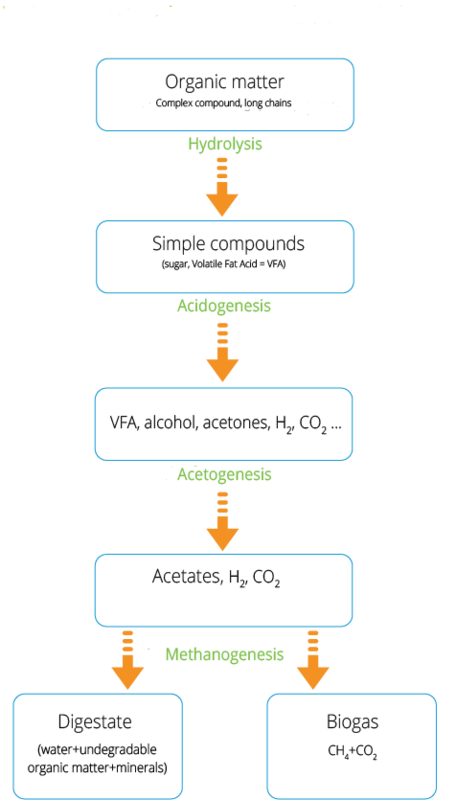 This transformation is divided into 4 main steps: hydrolysis, acidogenesis, acetogenesis and methanogenesis. It occurs naturally in some environments, such as marshes, but can be implemented by man using dedicated units called “digesters” under controlled conditions (temperature, water tightness, absence of oxygen, low pressure etc). Anaerobic digestion produces a gas, called biogas, composed of 60% methane (CH4) and 40% carbon dioxide (CO2). 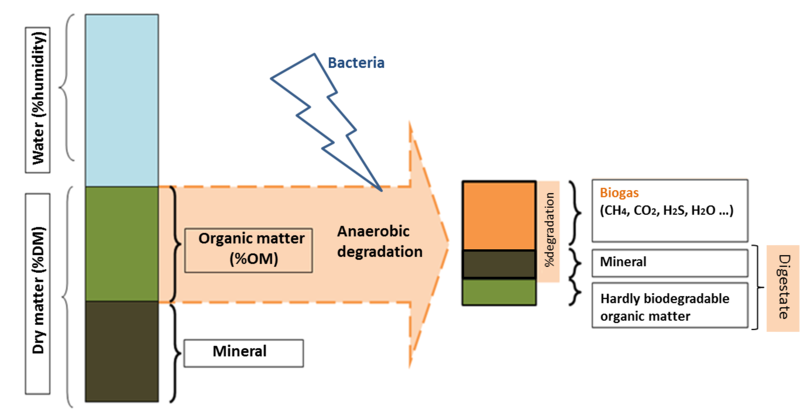 Decomposition of organic matter also provides a rich humus and partially stabilized product called digestate, which can then be valorized in natural and organic fertilizer for agriculture.